What is there not to love about someone making your nursery art decisions easier? Love the colour yellow (or coral, turquoise or glamorous gold even) but don’t know how to incorporate it into your nursery without it being over the top? Don’t you worry one minute longer. My Sweet Prints has your back with its ‘shop by colour’ option. Too easy. If you find yourself plagued with indecision as you trawl through countless prints you’ll know that many an hour can be spent umming and ahhing over nursery prints. If only it could be as easy as shopping by your decor colour – and now it can be. 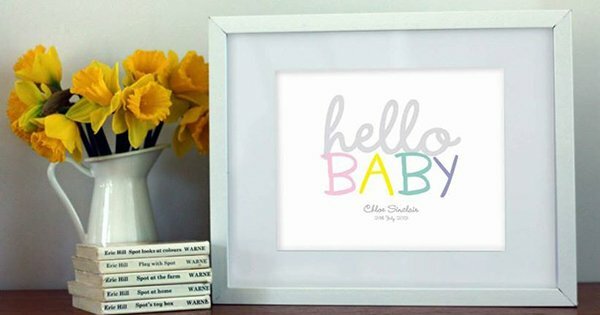 My Sweet Prints gives you that option, all you need to do is pick your chosen colour from their extensive list and all prints in that particular colour are revealed at a single click. My Sweet Prints is a typography fan’s dream come true. 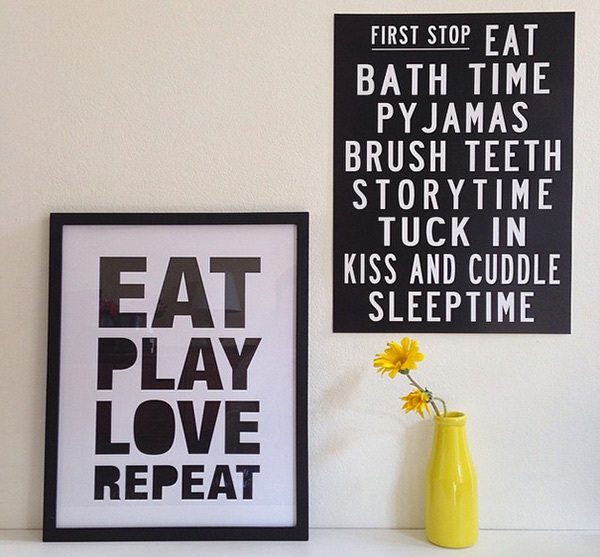 Here you’ll find beautiful prints of all descriptions including custom birth prints for littlies, such as the fabulous minimalist monochrome Ampersand Birth Poster (priced $32) and the cute Hello Baby Print (pictured above, priced $28). My Sweet Prints also have a stellar collection of slogan prints. 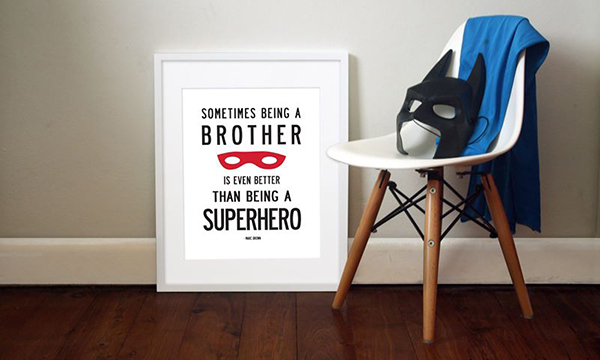 I adore the Brother Superhero Print (pictured top, priced $32), perfect for older brothers. Nursery art is merely the icing on the cake here at My Sweet Prints – you can shop for every room of your home. Prints can be purchased directly from My Sweet Prints.